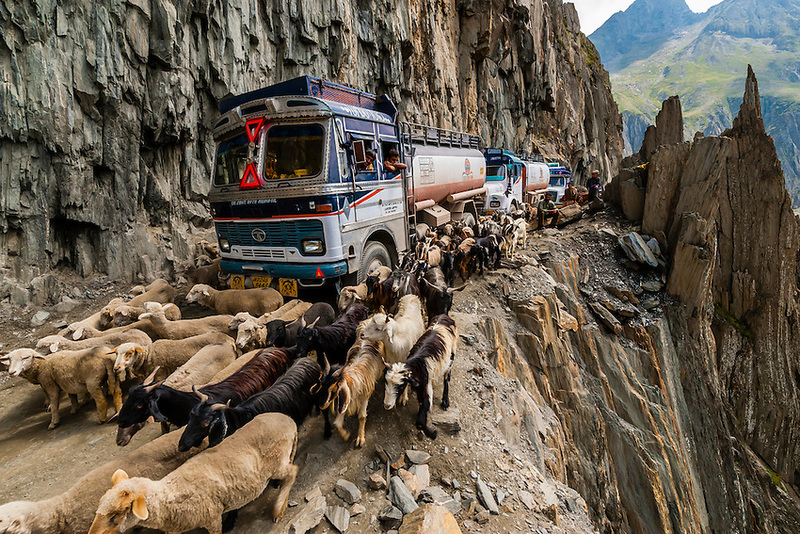 This image of sheep and goats being herded over the Zojila Pass as a traffic jam idles trucks because of a landslide; Kashmir, Jammu and Kashmir State; India won the grand prize in the worldwide Photo District News "World in Focus" Travel Photography Competition in November 2017 and the Photoshelter Travel Photography competition in 2015. The image was also a selected winner to appear in the American Photography 32 annual award book. It has been used by a variety of media around the world including GEO France and Red Bull.